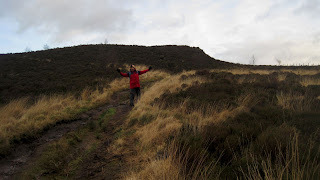 We started through a style and walked up through a field, towards the rocky path downhill …. 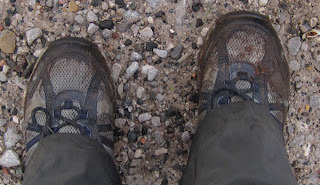 the ground was SO saturated, I was glad of my new walking boots ! This is the view back up part of the path down. Once we were down the bank, we found ourselves in the BEAUTIFUL Back Forest …. it was a gorgeous woodland walk with amazing views across to Gradbach ! The ground became pretty heavy going through here … in some places, the path was so waterlogged and eroded that we had to take rather large detours off-route, to get to where we needed to be. At this point we followed the sign to a place of mucho magic ! 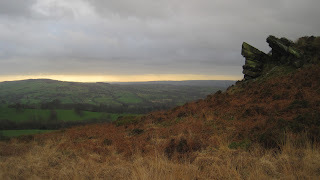 After walking through Lud’s Church, we walked up to Castlecliff Rocks for a well deserved cuppa and bar of choccy … (no pics I’m afraid), before starting the gradual uphill walk to get back up to the top of the valley. 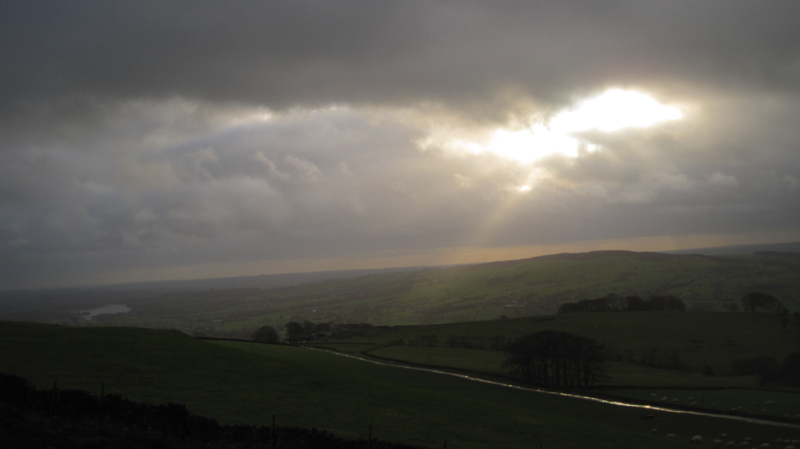 The walk back was mostly uphill, but there were some flat bits too … the views and moorland were just stunning though ! 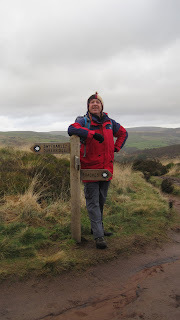 Looking back up, towards the Roaches with Rob in his natural habitat! The clouds are finally trying to lift ! The path along here is absolutely brilliant … you can see for miles and miles (on a clearer day), but we were on the home leg, and the cloud was finally beginning to lift You can see across to Cheshire over this way (picture above) ! Sign post to the Roaches … and the car ! Phew ! Finally back to the car we went … Fag, cuppa and sit down ! 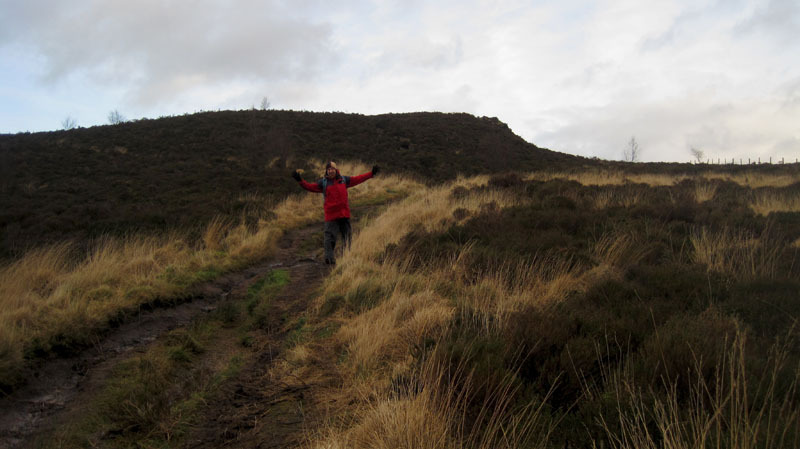 I have to say that this was my first proper walk since I was probably in my teens ! I have a LOT of hard work to put in, to regain my fitness and stamina, but I did love every single minute of this walk ! I think we covered about 4 miles, and after a 10 min sit down in the car, I did actually feel as though I could have gone a bit further than that, but just not over any more boggy paths … it’s hard going when the ground’s that soft. Signing out for a cuppa, then I shall catch up with last weekend’s walk … must not fall behind again ! Thanks for reading … hope you haven’t fallen asleep yet ?